The 2016 presidential campaign is already heating up. While its outcome is anybody&apos;s guess at this point, what we can be certain of is that it will lead to familiar clashes over the relationship between the government and the economy. With a strong libertarian streak emerging among the Republican contenders and a democratic socialist entering the fray for the Democrats, the perennial debate over the free market — which typically takes the form of Republicans accusing Democrats of wanting to demolish it, and Democrats admitting to its benefits while suggesting that it may need at least some regulation — is likely to be more contentious than ever. But that debate over what should be done with the free market is misguided. The notion there is such thing as an entirely free market is a fiction — and we&apos;d all be better off if we admitted it. 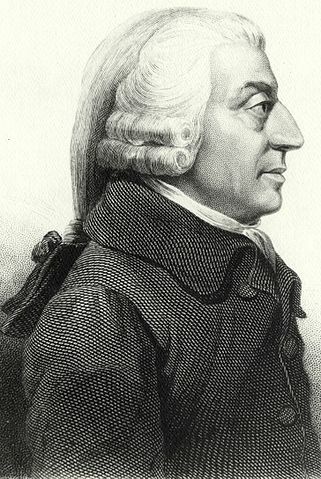 Historically, the market has never been free: The idea of a market that transcends outside intervention can be traced back to Adam Smith&apos;s seminal writings on the topic in the 18th century. Smith famously likened the transformative effect of trade governed by individual self-interest to an "invisible hand" that would boost prosperity for all of society. He argued freedom of commerce was revolutionizing the Western world, and its engine was the transactions of countless individuals acting to further their own prospects rather than working under the directives of feudalism. But even the godfather of the free market never envisioned it as a force that entirely eclipsed the state. Smith didn&apos;t conceive of the market as something that existed as a wild institution that could only be suffocated by the state, but rather saw the market and state as interdependent, and discussed how that the state&apos;s ability to do things like control the movement of workers shaped the nature of the market. He also wrote of the inequities produced by the market and the need to keep wages higher than the labor market might produce in order to provide workers with decent lives — effectively an argument for a minimum wage. Nobel Prize-winning economist Amartya Sen has written about how Smith saw the market as a powerful but inadequate mechanism for generating wealth that still required the state to manage its gaps through the provision of services like poverty relief and education. From their very beginnings, free markets have not been free of rules. In The Illusion of Free Markets Punishment and the Myth of Natural Order, Columbia University political theorist Bernard Harcourt wrote about how from their very inception, marketplaces considered free were always subject to regulations meant to, among other things, make the market fair for sellers and buyers. He chronicled the dense web of regulations and penalties that state administrators imposed on Parisian marketplaces in the early 18th century, such as making sure that bread matched its advertised price and that it wasn&apos;t being resold in a way that disadvantaged vendors. While debates raged at the time over how cumbersome these regulations could be, they always played a role in the way business was done. They also speak to the reality that markets require trust and confidence in order to function efficiently — the state&apos;s ability to penalize people for deception is precisely what frees up people to barter with each other in good faith. "We tend to focus in this country on small spaces where we see free exchange .... [such as] the pit at the New York Stock Exchange," Harcourt said on C-SPAN in 2011. "We turn those small spaces into standalone images of a free space of trade, of a free market — and ignore all of the regulatory framework that is necessary to create a little space like that as a space of free trade." The "free market" is a bunch of rules about (1) what can be owned and traded (the genome? slaves? nuclear materials? babies? votes? ); (2) on what terms (equal access to the internet? the right to organize unions? corporate monopolies? the length of patent protections? ); (3) under what conditions (poisonous drugs? unsafe foods? deceptive Ponzi schemes? uninsured derivatives? dangerous workplaces?) (4) what&apos;s private and what&apos;s public (police? roads? clean air and clean water? healthcare? good schools? parks and playgrounds? ); (5) how to pay for what (taxes, user fees, individual pricing?). And so on. And so the question isn&apos;t whether we should regulate markets — because they always will be regulated — but rather how they should be regulated. It&apos;s not just a matter of how "free" they should be, but also the kind of outcomes that we favor, such as growth, welfare and justice. The power of knowing that the market isn&apos;t ever "free" from other forces is that it reminds us that its outcomes are the result of choices, and that those choices reflect the distribution of power in society. The financial crisis, for example, made it clear that regulation of reckless bank behavior wasn&apos;t a priority, but that protecting the banks from failure (using taxpayer money) was. The more quickly we recognize that this wasn&apos;t an inevitable outcome of a "free market" but the product of how we choose to make rules that benefit some over others, the more quickly we can take steps toward a freer society.